For comic relief – I need it after the Bagua disaster. Here’s a place down the street that got temporarily closed down for “sanitary reasons” or “disturbing the peace”. 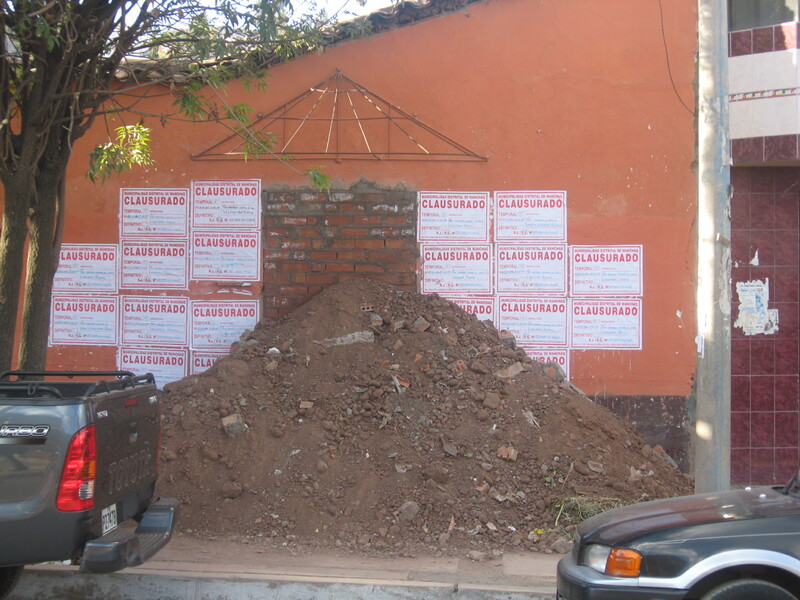 The brick wall behind the load of dirt is where the entrance is supposed to be. You see this kind of thing once in a while here in the regular neighborhoods in Cusco. Typically it’s a local watering hole that was too loud or unruly for its neighbors. 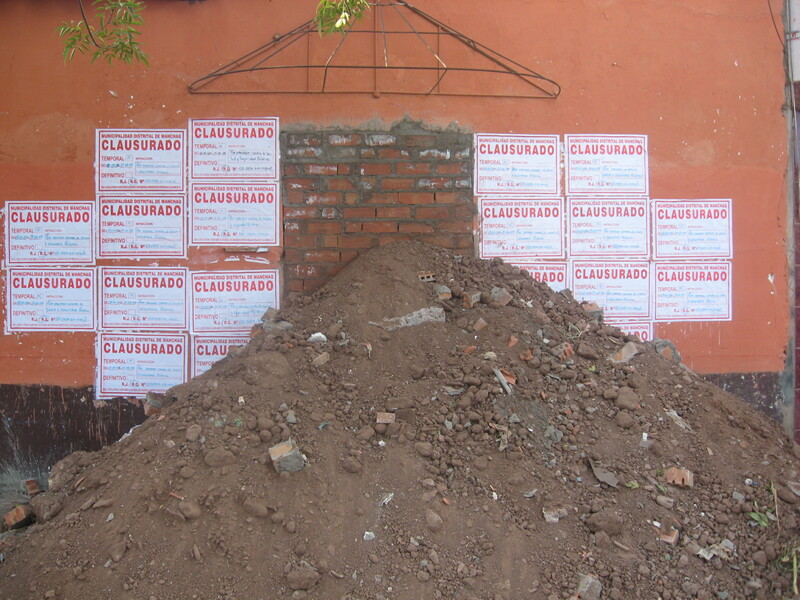 This entry was tagged Clausurado, Cusco, Life in Peru, Peru. Bookmark the permalink.